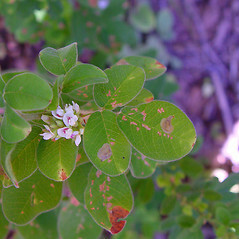 Hairy bush-clover is a fairly distinctive member of this genus, with cream-colored flowers largely hidden by the narrow hairy calyx lobes that taper to a sharp point and gradually turn brown. leaflets 2.5-8 times as long as wide, leaf stalks from near the middle of the stem mostly 1-3 mm long (vs. L. hirta, with leaflets 1.2-1.8 times as long as wide, leaf stalks from near the middle of the stem mostly 10-15 mm long). 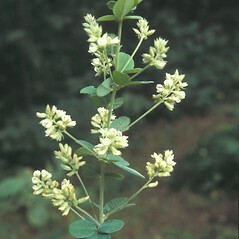 Lespedeza capitata var. calycina (Schindl.) Fern. Our subspecies is Lespedeza hirta (L.) Hornem. ssp. hirta. 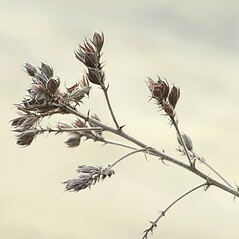 hairy bush-clover. 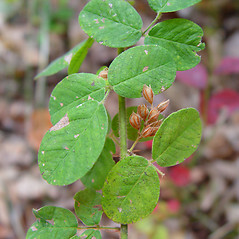 Lespedeza capitata (L.) Hornem. var. calycina (Schindl.) Fern. ; L. polystachya Michx. • CT, MA, ME, NH, RI, VT; limited in ME to the extreme southern portion of the state. Woodlands, forest clearings, dry openings. 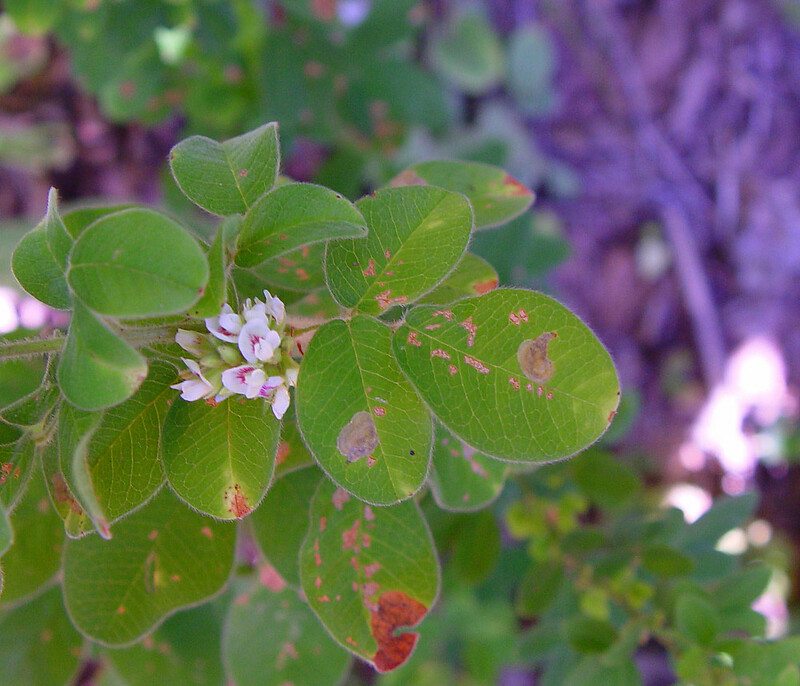 Clewell (1966) notes that the plants of Marthas Vineyard and Nantucket Island, MA, are morphologically distinct from other populations of this species in their denser and longer indument. 3×7. Lespedeza capitata × Lespedeza hirta → Lespedeza ×‌longifolia DC. 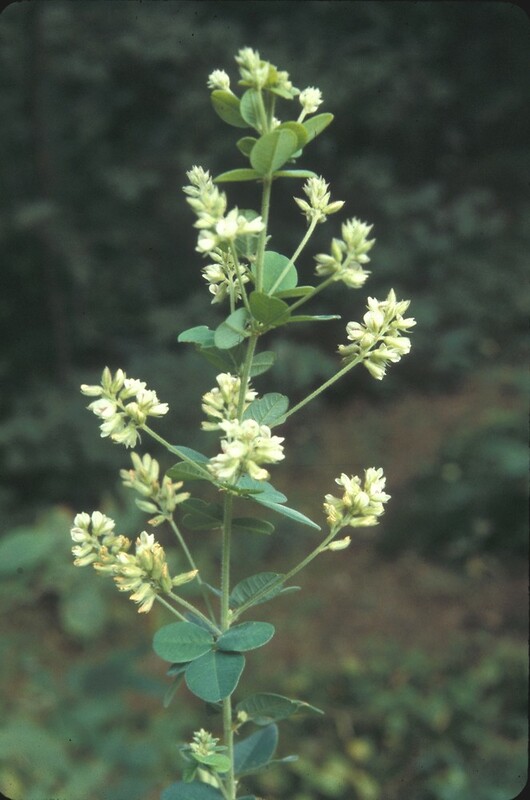 is a rare hybrid bush-clover that known is from MA, ME, NH. 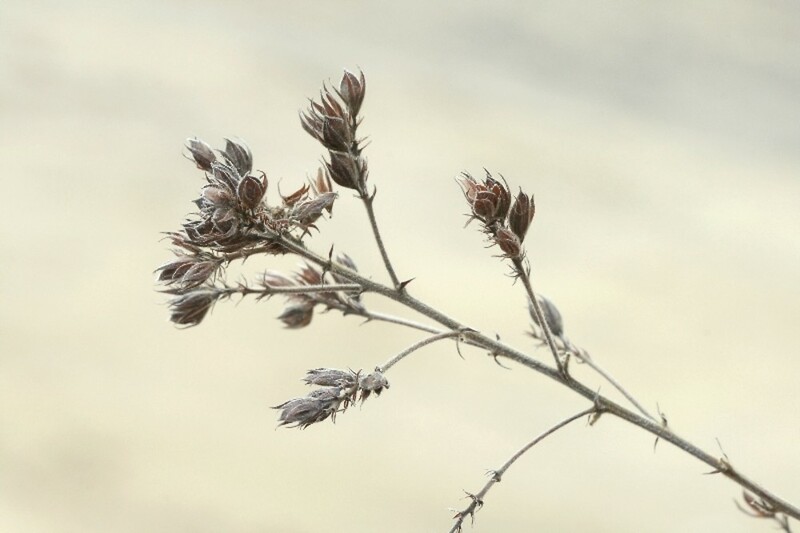 It usually displays one of three morphologies—(1) plants with leaves of L. hirta but the congested inflorescence of L. capitata; (2) plants with leaves intermediate between the parents but with well-exserted inflorescences; and (3) plants generally resembling L. capitata but with elongate petioles. 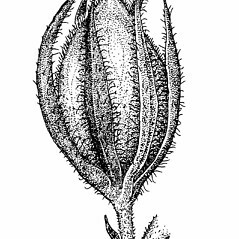 The name L. ×‌longifolia may not apply to this nothospecies, but rather to L. angustifolia ×L. 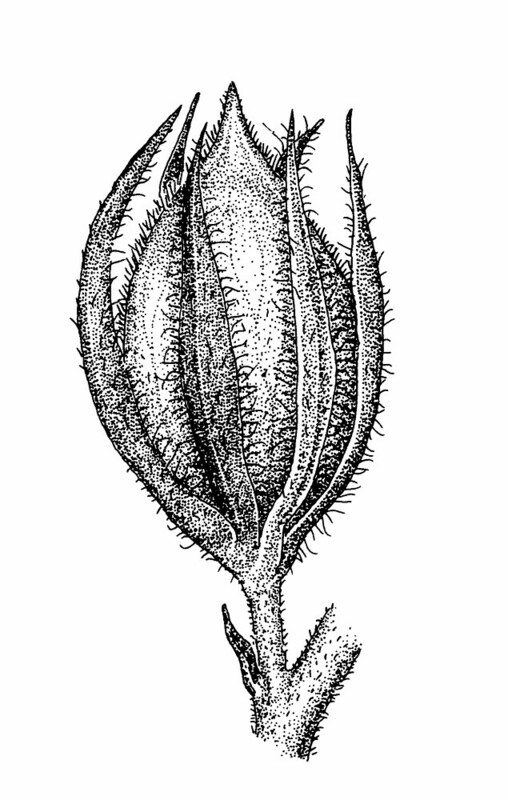 hirta or unusual plants of L. capitata (Clewell 1966). 7×10. Lespedeza hirta × Lespedeza stuevei → This very rare bush-clover hybrid is known from MA. 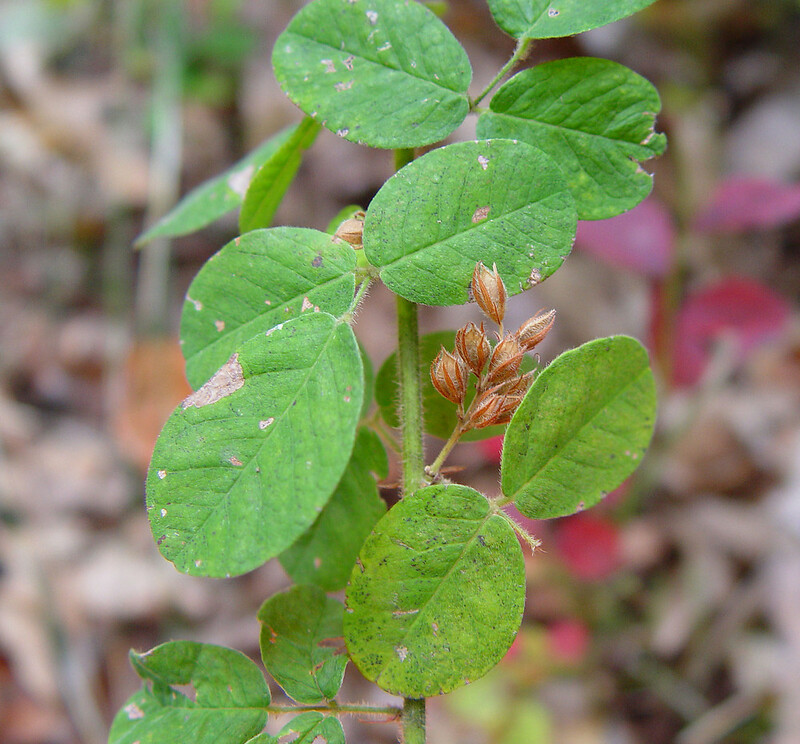 It is similar to Lespedeza hirta ×L. 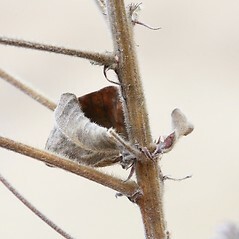 violacea (7 ×12), but the adaxial leaf surface is moderately pubescent (rather than sparsely), and the abaxial leaf surface is pubescent with dense and/or ascending hairs (rather than moderate and appressed). 7×13. Lespedeza hirta × Lespedeza virginica → This rare bush-clover hybrid is known from CT. 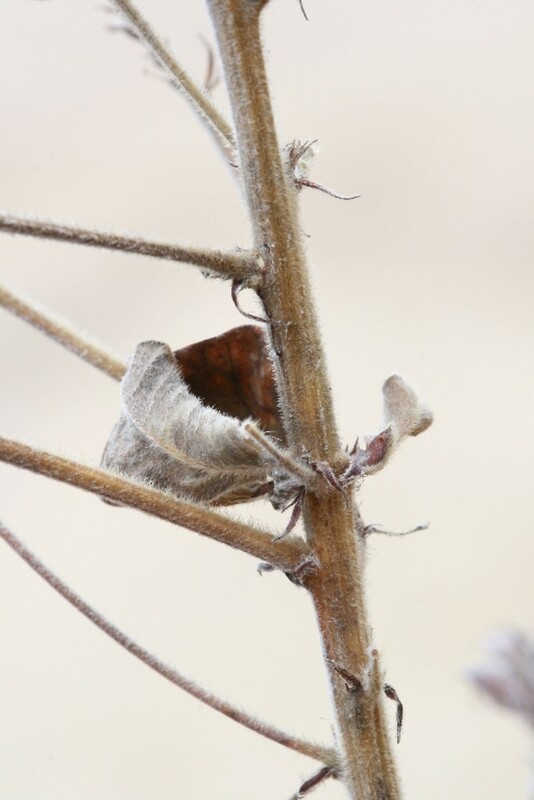 It has fruits that shortly exceed the sepals (mostly 1.2–1.5 times as long) and leaf blades that are glabrous adaxially, moderately appressed-pubescent abaxially, and 3.2–3.8 times as long as wide.